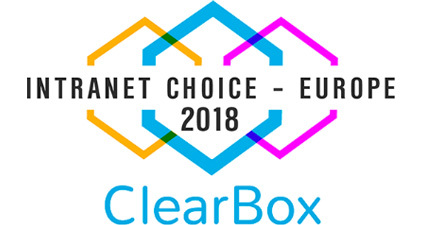 *Evaluated and rated against 33 other intranet products by independent intranet experts Clearbox Consulting. Get the report. 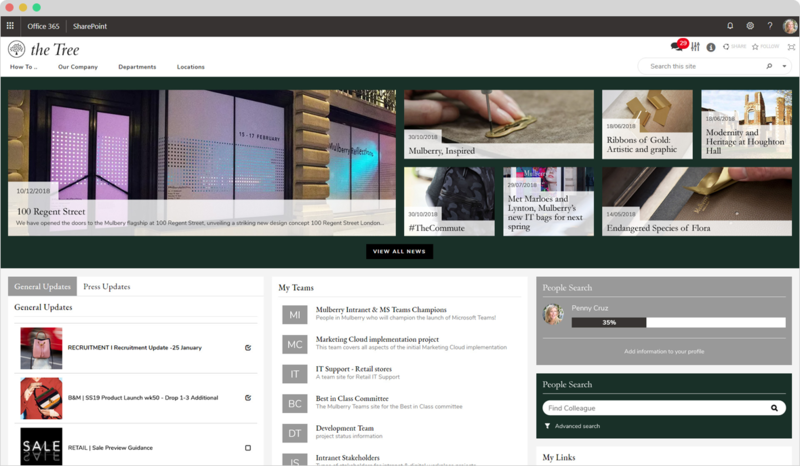 Wizdom is a rich intranet framework that sits on SharePoint and Office 365. 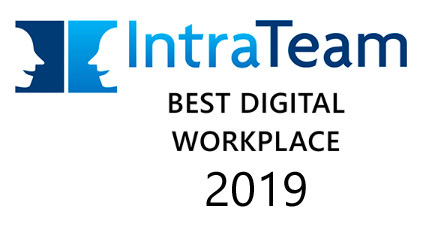 It’s designed for companies that want the power to grow and improve their digital workplace quickly in an agile way, without developers or the big budgets associated with bespoke intranets. Our team will help you set up Wizdom fast and give you all the training you need. 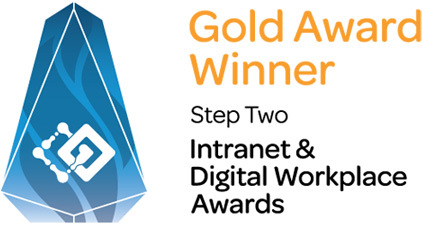 Once that’s done there’s plenty you can do by yourself without code to build out a powerful and engaging intranet. 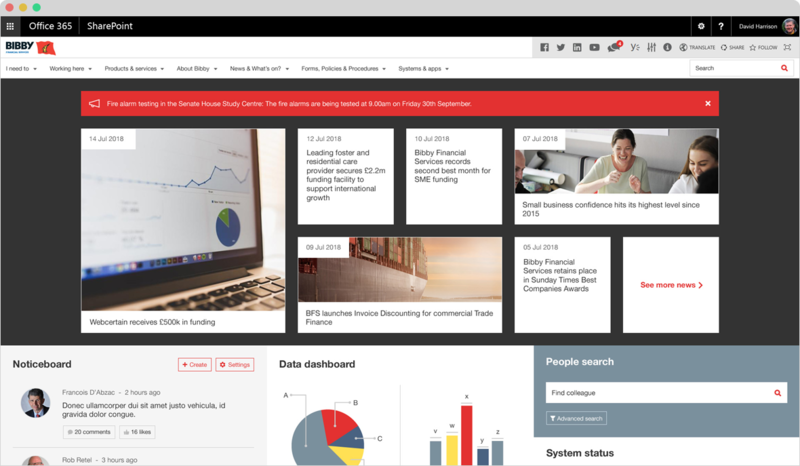 Wizdom includes all the features you can expect to see in a top intranet. You can pick and choose what you want but if you still need more you can build custom apps and widgets. Engage your people. Help them collaborate. 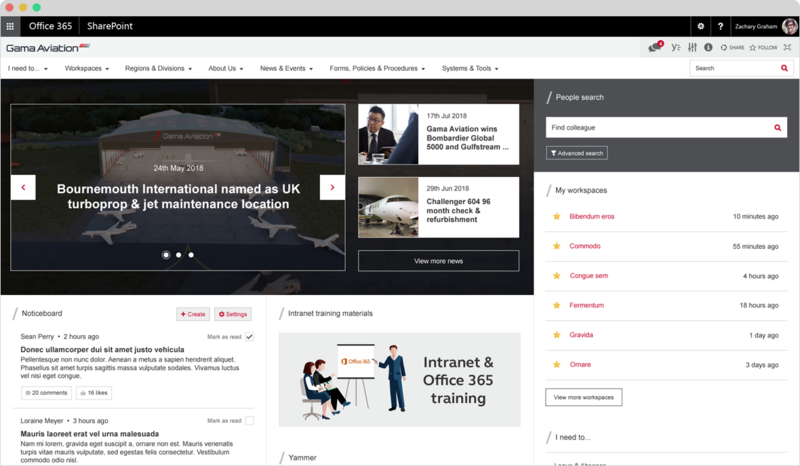 Built for the connected organisation, Wizdom is a social and collaborative intranet. Your entire workforce can get involved using social tools similar to those they’ve grown used to on the web. 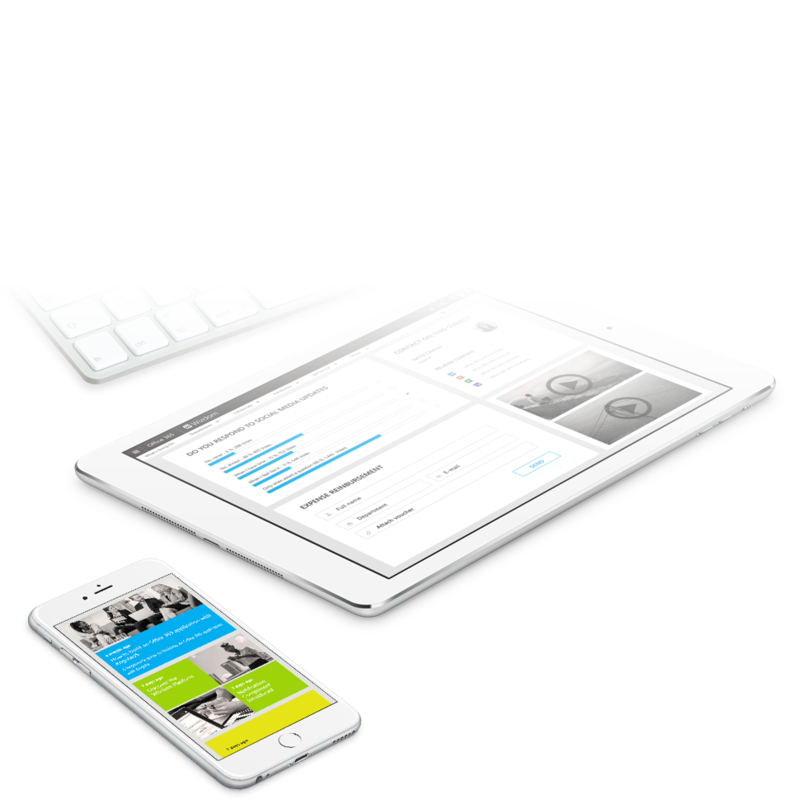 The Wizdom mobile app with push notifications makes it even easier to reach your workforce. 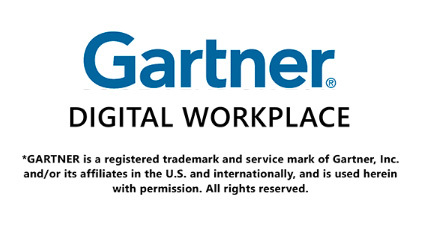 You can also give it to first line workers who don’t have Office 365 accounts. Wizdom pricing is based on the number of people in your organisation who will be using it. Your licence can scale up and down according to your needs. Licence pricing starts at 100 users and goes up to 500,000. 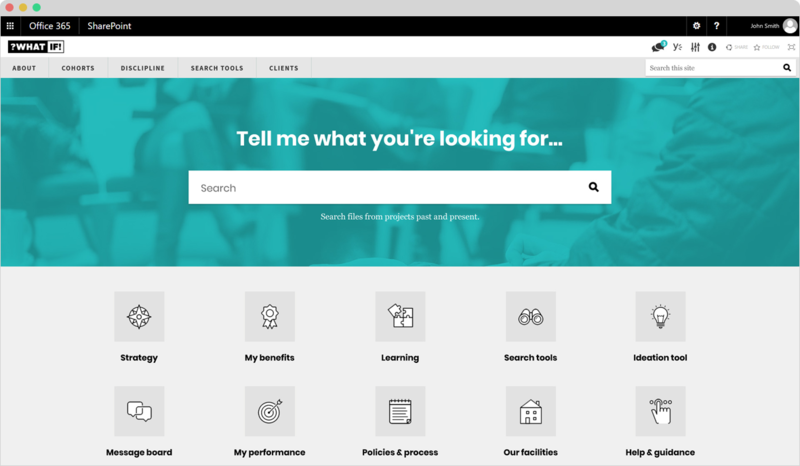 Accelerate – for companies that want a quick set up using Wizdom’s most commonly requested features like news, people directory, department pages, project pages and more. Once your site is ready we train you so that you can tweak it and change it using the full power of Wizdom. Accelerate is low cost and suits smaller organisations or those that want to start with an MVP (minimum viable product). 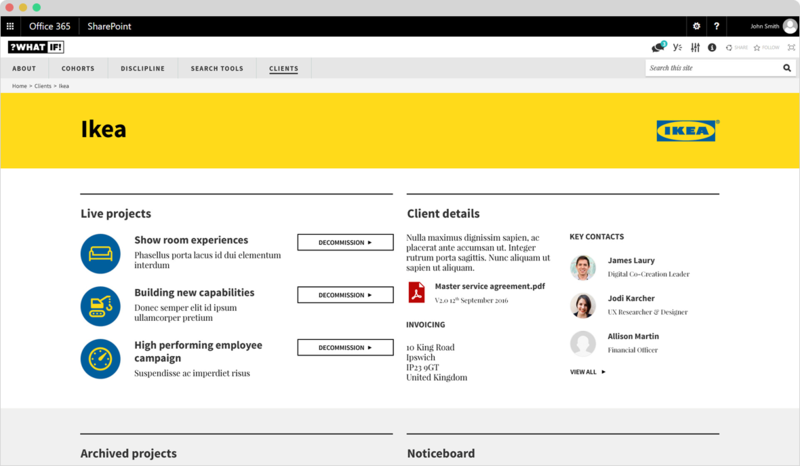 Custom Setup – for companies that are not clear on exactly what they want from their intranet or who feel that they have complex needs. The setup project can be designed to suit your situation. Our UX team can run a discovery phase to understand requirements and then turn these into wireframes that can be circulated and iterated with stakeholders. Once signed off we can get on with building and branding your solution before handing it over with training. 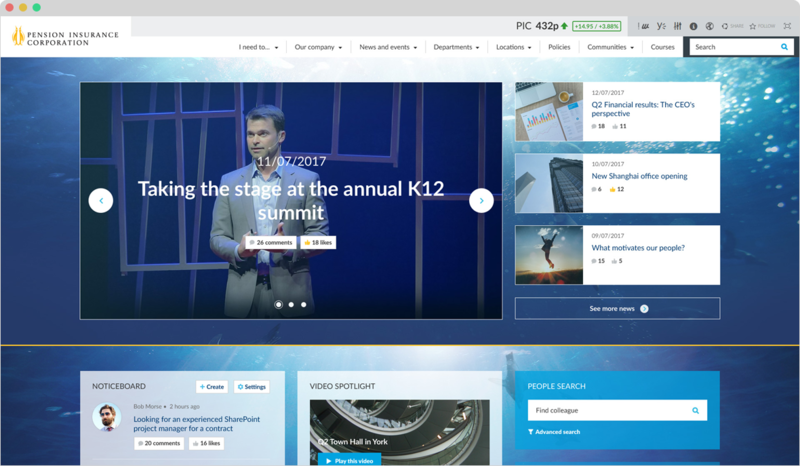 Wizdom as a Framework – for companies that have an in-house development team and want Wizdom as a framework so that they can build and iterate their intranet themselves. With this option we can install it, train you and handover the keys. Like all the others, this option can include support too, just in case. Whichever option you choose, we can tailor it to suit your needs and provide as much training and support as you need. Get in touch with us and we can discuss what would work best for you. Wizdom runs as an add-in on SharePoint. 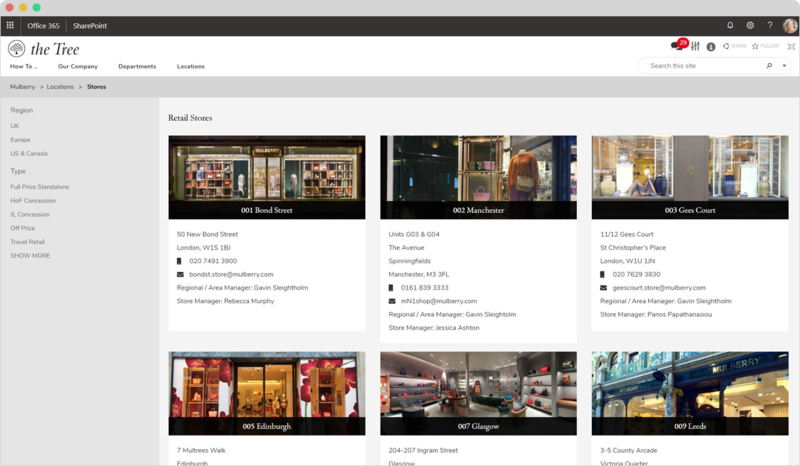 It can be installed onto your on-premises SharePoint environment or SharePoint Online on Office 365 in the cloud. Wizdom also works in hybrid scenarios where you might want both a cloud and an on-premises environment working together. Our consultants will help you choose the option which is right for you and provide all the technical help and support to get your environment set up quickly and smoothly. If you’re technical you’ll like this bit: Wizdom is a seriously powerful tool. It has a SharePoint native architecture which means you can customize it in many different ways, all without breaking the upgrade path and within the SharePoint environment. It’s got its own broad set of APIs and the REST endpoints too. You can create custom SharePoint webparts, Wizdom webparts, or use third party webparts like Nintex. Depending on your own internal skills and resources you might want some ongoing help and support after launch. We have a set of flexible support packages from on-demand just-in-case support through to monthly managed support contracts. Please ask us for more information. 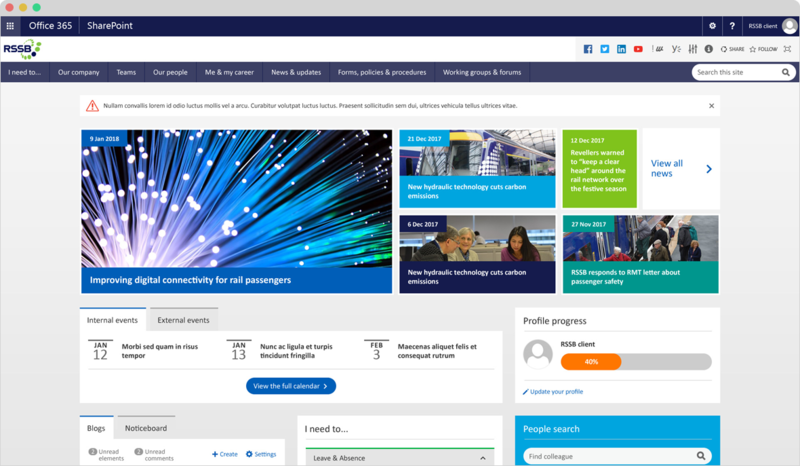 If you’re not ready to talk yet why not sign up to our monthly newsletter for intranet insights, best practice, further Wizdom information and more. You can unsubscribe any time. Get Wizdom case studies, Wizdom design examples, Wizdom how-to articles. You can unsubscribe anytime on each email.